The perfect wrap to sit over your quilt or no bow wraps, made of durable 10 oz. 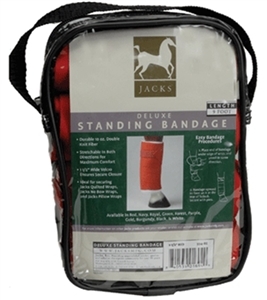 double knit fiber which is stretchable in both directions to give your horse maximum comfort. Measuring 6-9" with Velcro ensures a secure closure, these are machine washable and dryer safe.